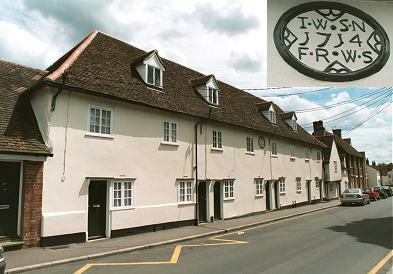 A parish workhouse was set up in Witham in 1714 near to the parish church. It was built by means of of a loan from Miss Alice Bird of Great Coggeshall. In its early years, the building was also used as a House of Correction (an early form of prison) for vagrants, vagabonds and disorderly person. The cost of running the workhouse soon after it opened was about £230 a year. Its aim of reducing the parish's poor rate was spectacularly unsuccessful — by 1785, the annual running cost had risen to £2,899. An inventory of the premises in 1757 listed the rooms as including a cellar, hall, master's room, kitchen, pantry, brewhouse, workhouse, and five bedchambers. Kelvedon's parish workhouse was housed at the north side of the High Street in a building which dated back to the sixteenth century. 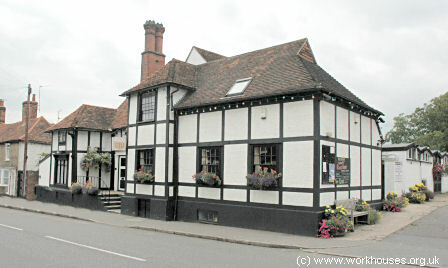 The building is now home to the Kelvedon Labour Club. 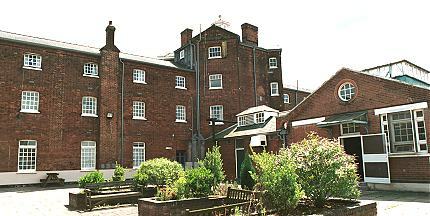 Kelvedon former parish workhouse, 2002. County of Essex: Great Coggeshall (3), Fairstead, Faulkbourn, Feering, Great Braxted, Hatfield Peverill (2), Inworth, Kelvedon (2), Little Braxted, Little Coggeshall, Mark's Hall, Messing, Rivenhall, Terling, Ulting, Wickham Bishop, Witham (3). The population falling within the union at the 1831 census had been 14,432 — with parishes ranging in size from Mark's Hall (population 52) to Great Coggeshall (3,227) and Witham itself (2,735). The average annual poor-rate expenditure for the period 1833-35 had been £9,537 or 14s.1d. per head of the population. 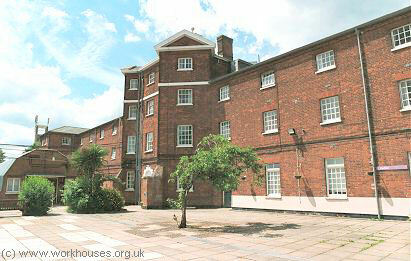 The new Witham workhouse, for 300 inmates, was built in 1837-9 at a site to the west of Witham on the Hatfield Road. It was designed by George Gilbert Scott and William Bonython Moffatt where were the architects of many other workhouses during this period including ones for the Billericay, Dunmow and Tendring Unions. The workhouse's location and layout can be seen on the 1874 map. Witham employed a typical Scott and Moffatt design with a single storey entrance block having a central entrance archway. The three-storey main building had an E-shaped layout, with a four-storey octagonal central tower. Witham central tower from the south-east, 2002. Witham main block from the east, 2002. Kitchens and dining hall were situated at the rear of the main block. Witham rear of main block from the north-east, 2002. A separate range of buildings at the rear may have included idiots' wards, workshops and utility rooms such as a washhouse and laundry. 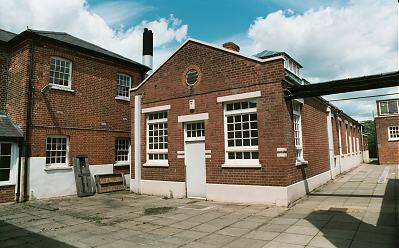 Witham rear block from the south, 2002. A further single-storey block of unknown function stood was erected at the west of the site. Witham western block from the south-west, 2002. Witham Poor Law Union was dissolved on 25th March 1880 and its member parishes distributed between the adjacent Braintree and Maldon Poor Law Unions. In the summer of 1882, the site was acquired by the South Metropolitan School District Board for use as a branch School for orphans and deserted children between the ages of 7 and 12. In 1901, the site was sold to the Metropolitan Asylums Board and was used for children suffering from the infectious condition of ringworm. At around this time, A separate two-storey infirmary was erected at the west of the main building. By 1908, advances in the treatment of ringworm reduced the need for such establishments and the building became used as an "Industrial Home for Feeble-Minded Boys" also known as the Bridge Training Home. 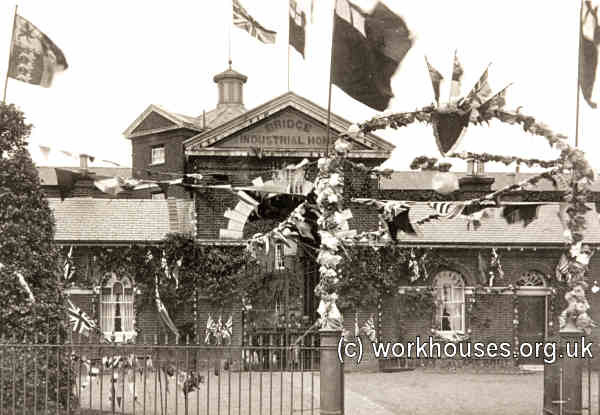 The picture below shows the Bridge Industrial Home bedecked with flags, probably for the coronation of King George V in 1911. Bridge Industrial Home, Witham, 1911. During the First World War, the buildings were used as a hospital for wounded soldiers. Between 1920 and 1922, the establishment was incorporated into the Royal Eastern Counties Hospital. Then, in 1933, ownership of the site passed to the North East Metropolitan Regional Hospital Board and continued as a hospital for mentally handicapped males. In 1948, the institution became part of the National Health Service and became known as Bridge Hospital. 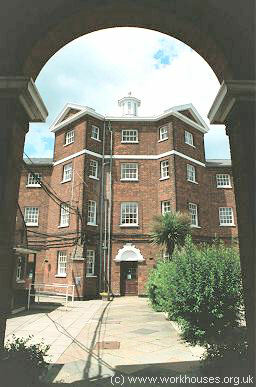 The hospital closed in 2002 prior to redevelopment of the site into the Homebridge retirement village although the entrance block and main building have been preserved. 1914 — Superintendent: Thomas C Gibbs. Essex Record Office, Wharf Road Chelmsford CM2 6YT. Few records survive — holdings include: Guardians' minutes (1835-1883) etc.